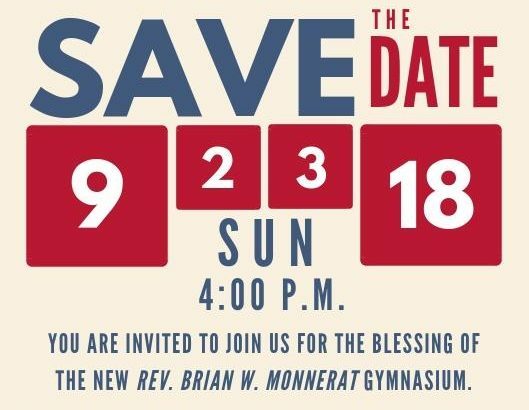 On Sunday, September 23 a special blessing of the new Rev. Brian Monnerat Gymnasium took place. Many faculty, coaches, teammates, friends and family shared in this special day! 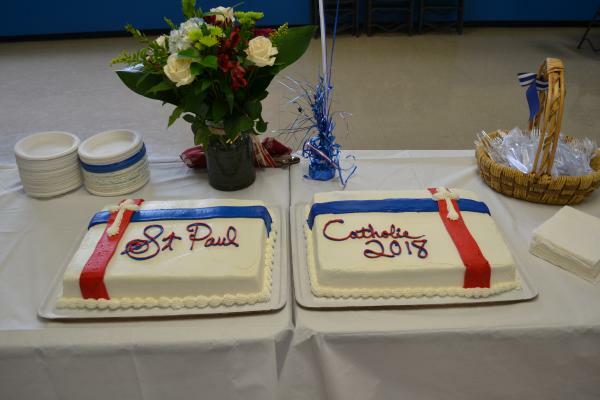 Also in attendance; St. Paul’s founding principal, Rev. Edmund M. O’Brien, Rev. Gary Simeone, School Board Chairman and Rev. Hector Rangel, School Chaplain. Mr. Mark Monnerat and his family were there to share in the blessing of this new gathering space named after his brother. A dedication and donor recognition ceremony will take place in December. Stay tuned!